What I am Thankful for !!! I would see Hope placed in the right things produce more Hope… Hope will never be wasted if Hope is placed in the giver of Hope!!!! It’s another holiday we celebrate one day a year;that I dread. It’s the overwhelming reminder to me of what’s missing from my life. I had a father in the flesh for just 13 years of my life. My memories are few actually most of them were of loud music,time we spent together at the San Jacinto Monument and at Lake Houston or the countless visits to him in the Mental Hospital. He loved me no doubt and he taught me to get on my knees and pray the Lord’s Prayer and he would say to me many many times “Doris do unto others; as you would have them to you”. When someone would hurt my feelings, or I was being bullied and beat up by neighborhood girls on a regular basis as I waited for the school bus. He would say don’t fight them back, you have to just turn the other cheek to them, don’t treat others the way they treat you, just forgive them when they hurt you. I have done that my whole entire life. I have lived a life that would honor the man who struggled my whole life to be normal. He was the kindest man, gentle in spirit and he was faithful to his wife and when he was in your presence, you were important. There was only a radio playing, music and words to be heard. Although I have many great stories in just the 13 years I had him in my life there are very sad ones also. He struggled with regularly being mistreated by others in his own family and his wife. He endured the abuse and anger from a brother who had demons and they often came out towards him. I can’t tell you the countless times I was in a room when my fathers brother would attack my father, screaming shouting and throwing things at him and I was 3-4 years old and I even became a victim of a argument between them. I was sleeping on the couch and my uncle threw a glass ketchup bottle at my father and at that very moment that I woke up, sat up that the bottle and my little head collided and the glass bottle hit my little head and broke. What happened? My dad turned the other cheek and extended forgiveness to his brother. Do unto others Little Doris. This man endured any years of violence from the brother he was the closest to, I remember being around 3-4 years old same time frame and I was sitting in the front seat with my daddy and this same angry uncle climbed on the hood of our car and busted the windshield out with both of his fists. What did my father do? Turned the other cheek replaced another windshield that this same uncle had shattered a short time before. My father was a man who endured great torment in his life by people he loved and dealt with great betrayal in his life. He always forgave them. He was in my eyes a man of great strength even though to many he was weak. He loved one woman and accepted her betrayal, unfaithfulness, her mental disability and rejection of him. My father was creative and funny… He always had a cigarette in his hand and a coffee cup in the other. He loved working with his hands and playing music loud. He battled schizophrenia for most of my childhood, and I went to live with my mothers parents at 8 years old, they gained full custody of me. . The funny thing was my parents grew up on the same street and the rest of my family lived on the next street over so I was walking distance from everyone. It was around 10 years old when my father was very sick and my grandmother would forbid me from seeing my dad because of his mental illness. It’s then that I began sneaking to see my father. I loved him and accepted him I needed him in my life and I was not going to be stopped from being with him. I was lost and needed love that would fill me up my empty heart. In 1993 when I surrendered my heart to Jesus and accepted him as my savior, that’s when I really began to understand what love really is. It has not been an instant kinda understanding but a journey in accepting love and understanding the difference between authentic love and the thing that masquerades as love. Understanding what love truly is and figuring out that love is not a feeling. Love is helping someone clean the broken bottle up and wipe the blood off your 3 year old head and saying I am sorry that happened to you. Love is the strength in a struggle but never losing hope that things will change for the better. Love is when others are hurting and mistreating you and even rejecting you; you turn the other cheek. My daddy was so much like Jesus that it’s amazing. They both were misunderstood, rejected and forgave freely and never sought revenge. They took the ridicule with a grain of salt and turned the other cheek. his life ended way to soon. In those few years I had with him I was given love and someone I can look back at his life and say that’s truly why I am the way I am and no longer be ashamed of being a non-confrontational type of person, forgiving and compassionate to others who gets up after she’s been knocked down. He was a great father and even with all he had to endure in his 33 years on earth he lived his life with a heart like Jesus. He always treated others how he wanted to be treated, turned the other cheek when someone attacked him and never speaking a evil word towards anyone. He forgave everyone freely and forgot the wrongs done against him. He reminds me of someone else who did the same thing and was often misunderstood and He lived a life of purity, compassion and treating others as He wanted to be treated never speaking evil and died at the young age of 33. They both were tortured and beaten down mentally and physically, they did not die the same way but they both spoke to my heart the same message …. Doris Forgive them they know not what they do. 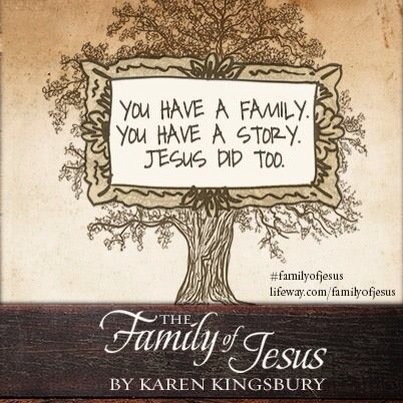 My Jesus teaches me to live my life just like my daddy did. Interesting to me is that my wedding song chosen by my husband just 8 months ago was “Loves me Like Jesus does”. 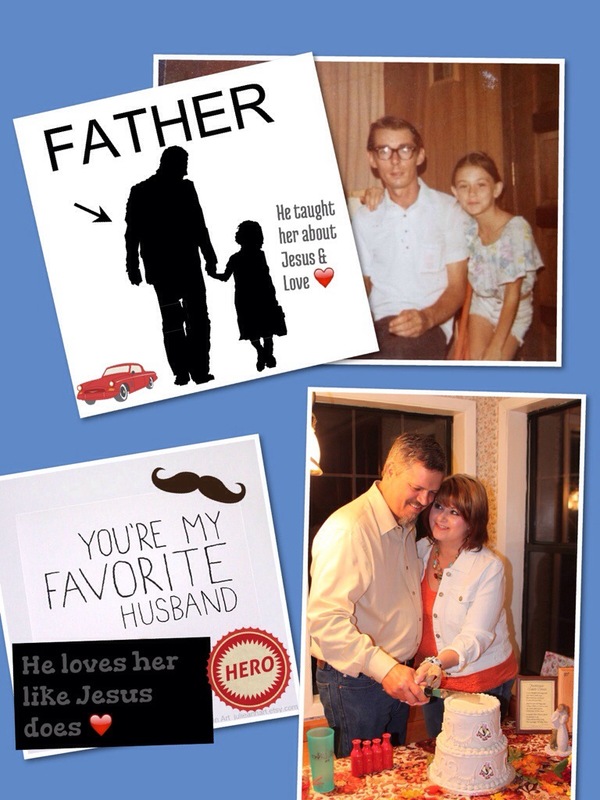 I know without a doubt that my husband is a gift to me from heaven above… He treats me just like My daddy did and just how Jesus does because He’s not Dead…. The memory of the love of my daddy…. Today I will not be sad at what’s missing but be grateful 🙏 for who is present❤️. It’s often strange when friendships change all of a sudden for no reason… One day your talking and interacting then all of a sudden they just fade away and your left wondering why? Was it just a surface kinda friendship? There was a purpose but you may never really know why it was a short lived kinda friendship. They know your history, the present and they see the future with you. 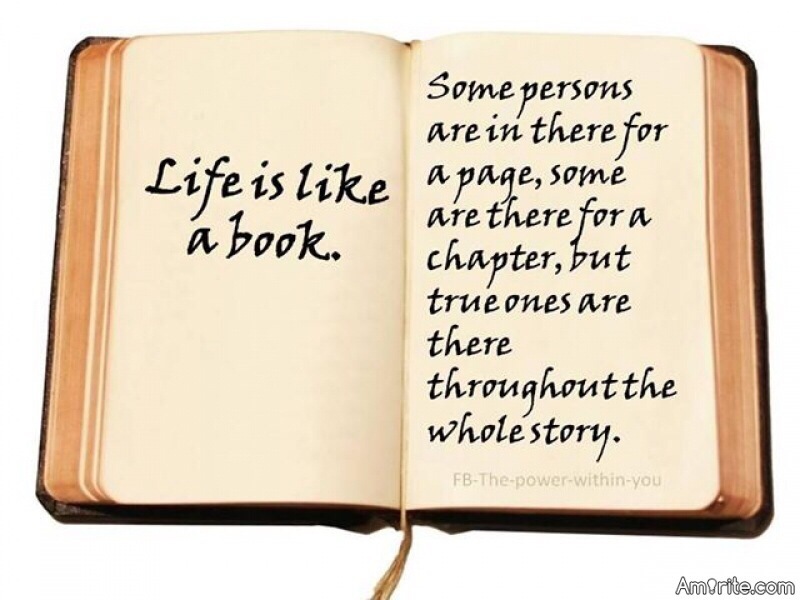 Sometimes people are just not meant to be in the whole book. They are meant to just be a page or a paragraph and a few are just a sentence. Last night on the drive home Paul and I were having one of those Doris talks we have. I was talking, pondering and telling stories about how I am always trying to fix what’s wrong with me. The life long process I have been in since becoming a Christian. I acknowledge and focus on my imperfections then attempt to fix said issue and to ask God to fix that imperfection. Maybe I just try to change it myself who knows. Paul has been telling me for a very long time to Stop putting myself down when I am telling my stories, writing or talking about myself. “Doris don’t talk about yourself so negatively”. I say in reply to that “It’s a joke”. It’ not funny when your using sarcasm on yourself and putting yourself down. I have done that for so long that I don’t even realize that I am doing it. I once told Paul I do it because if I put myself down before you do then it will not hurt me. As I write this all out it’s sort of sad! Our conversation was deep last night as it often is, it went back to me always trying to fix my flaws and how I am always working on changing things about myself in order to make my life count and to be a better person. After recounting for the millionth time why I can’t find peace in an area of my life I said ” What if I just stopped trying to fix me? What if I was just me? I teared up and said ” What if I was really me and I stopped trying to repair those places that need to be fixed in my life”? What if I run you off, by being myself? Paul said simply ” What if you just realized that you are not Broken”? Stop trying to fix yourself and just be you. Wow the wisdom this man has and in a simple way. He knows me,watches me and listens to me very intently. He really loves me so much… I really respect him and listen carefully to the words he speaks because he truly wants the best for me. He never try’s to change my flaws he accepts me. I am the worn out always trying to fix me girl. He just loves me; the broken girl that I thought that I was. In his eyes I am whole, perfect and complete. It’s my own thoughts that hinder me. Condemnation often takes over my mind and my heart. I try to adjust to get others to love me and not reject me because I know me! I am guessing that it must be as exhausting for Paul to be with a girl who focuses on her every failed attitude or thought. This girl loves so many things about herself and when I am truly me, I love me!!! They can’t see the change in me anyway so why am I hiding myself? What have you wrestled with? What if you let go of trying to fix what you think is broken? Maybe you need to accept your just fine the way you are. What if I accepted that I am not Broken? I don’t know about you but I really dislike waiting for things. When I was young I couldn’t wait to grow up and be an adult. So I married the first time at 16 years old. Someone should have forced me to wait but they didn’t. When I had my children there were moments I wanted them to grow up past the waking up every two hours stage. I didn’t want to wait for it but it was not in my control so therefore I waited. There are times when sitting in a waiting room with screaming kids all around me I want to run out because they are not my children. There are times after shopping and placing things in my basket and I walk towards to checkout line that I look down and look at what I have and decide not to wait. I was married for almost 18 years and I decided the changes were not going to happen so I stopped waiting and left. I have given up on things because I was weary in waiting. When Paul and I got together it was a whirlwind kinda love for us and we moved fast towards each other except for the thing that I wanted the most which was to get married to each other. He made me wait, I laugh now because I understand the wisdom in waiting for it. He knew me and listened to me very well. He knew that I wanted to just do it and not wait. He had been married 3 times before all to women who were pregnant and he knew about not waiting and doing things to quickly. He meets me and I had been married 3 times also but I was not pregnant when I married any of them but I rushed into them all. 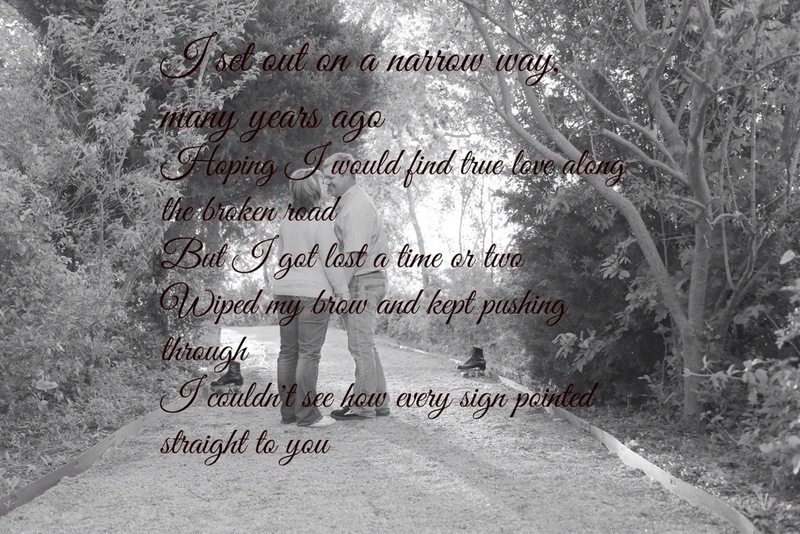 Two of those lasted less than a year and one almost 18 years but still I wanted to marry Paul and he knew that God was showing him to make her wait for it so one day she will understand. I now understand why we waited, I understand waiting a little better. We both wanted to do it differently than we had before, we wanted a minister and God at the center of this marriage. I was still ready to do it fast; like right now. God sometimes delays things in our lives because He knows the future and if you believe in Him, then you know that He is in control of our every step but we have to wait on him and trust him to lead and guide us. He has a plan that we don’t really know anything about we just have to have that blind faith. When Paul asked me to marry him it was in December of 2012 and there was no ring or fan fare just a little Taco Bell sauce package that said “will you marry me”? He grabbed the calendar and said October 24, 2013. We had no idea that the next March we would begin a traveling journey and we would be traveling into the unknown for the next 7 months. We lived in many places with his job assignments and one of the places was Arizona and we were very close to Las Vegas and I desperately wanted to drive over 5 hours and get married but Paul insisted we were going to wait. He was not going to get married to me while we were living in a hotel. He wanted a minister and for us to be in a house. I think God was really speaking to his heart because we got the call to go to West Monroe, Louisiana. We had no idea that God was about make it all worth the wait. He was going to allow us to live in a beautiful home, meet great people, be apart of an awesome church with a bunch of Duck Hunters that are famous for their beards. We would have a beautiful home to have our wedding and ministers to marry us and surrounded by new friends and even family who crashed the wedding and a friend of mine who drove hours to join me. I learned that delays are sometimes for the better, that my impatience often has gotten me into making decisions that are not the best that God has for me. Sometimes I need to just “Wait for it” as my husband would say. What are you waiting for that your tired of waiting for? I want to encourage you to ask God to help you wait for His best for you. If it’s A job, a relationship, a marriage an ending of a relationship or the healing that you need. Sometimes we have to wait and trust that there is a bigger plan and a reason we must wait. Maybe just maybe God has something good for you at the end of your waiting. If your waiting for something please don’t get impatient like me and do things to fast or give up on the things you have already committed to when God may be working things out.